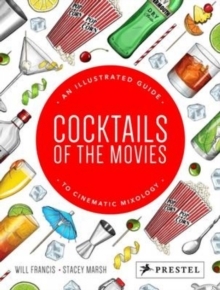 Take a journey through Hollywood's lifelong love affair with cocktails, celebrating the greatest characters and their iconic drinks through original illustrations and easy-to-follow recipes. From Marilyn's Manhattan in Some Like It Hot to The Dude's White Russian in The Big Lebowski, there's something for everyone. Each cocktail is accompanied by the recipe, method, a history of the drink and a synopsis of its scene in the movie alongside full-color original artwork.